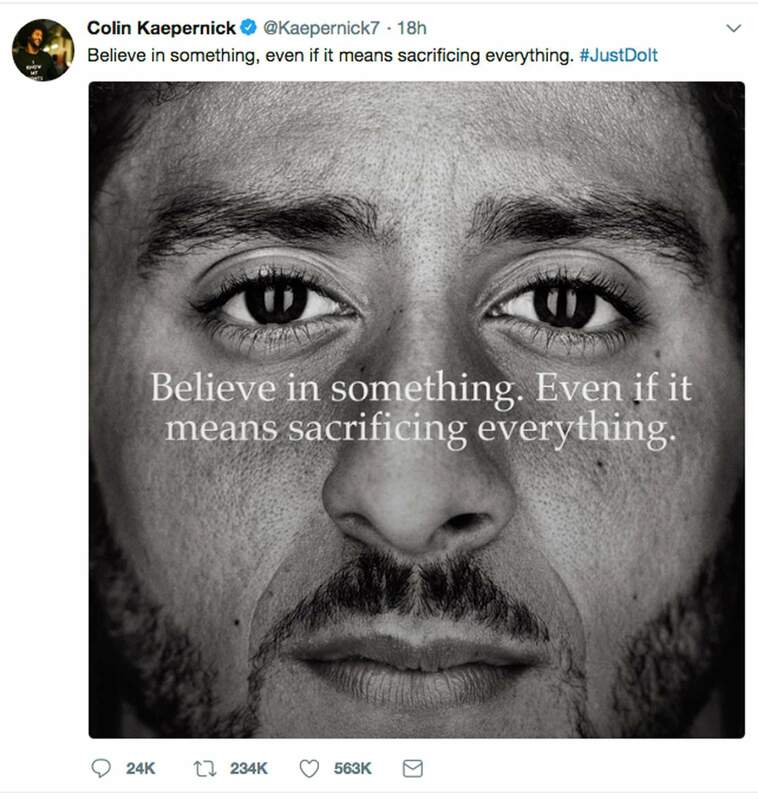 This image taken from the Twitter account of the former National Football League player Colin Kaepernick shows a Nike advertisement featuring him that was posted Monday. Kaepernick already had a deal with Nike that was set to expire, but it was renegotiated into a multi-year deal to make him one of the faces of Nike’s 30th anniversary “Just Do It” campaign, according to a person familiar with the contract. 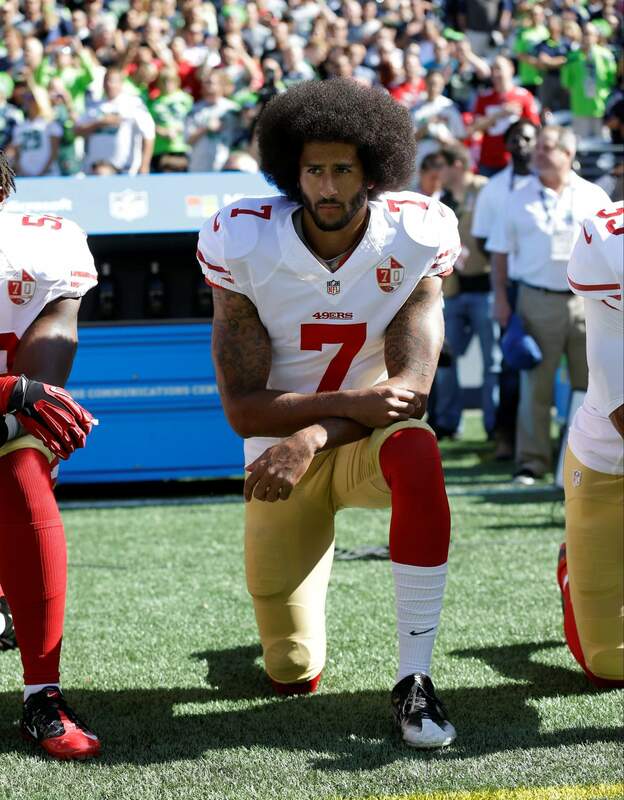 San Francisco 49ers’ Colin Kaepernick kneels during the national anthem before a football game against the Seattle Seahawks.